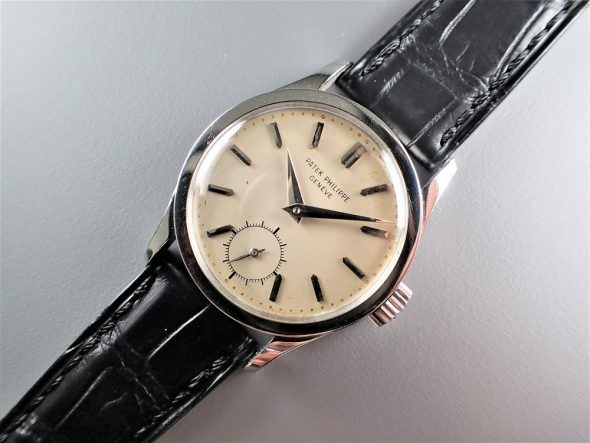 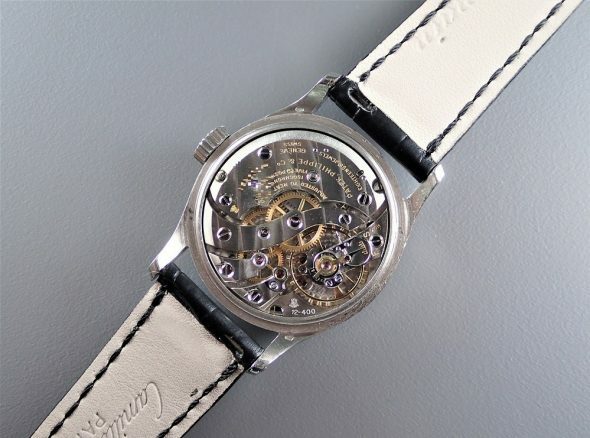 A very fine and extremely rare platinum manual-winding wristwatch ref.96. 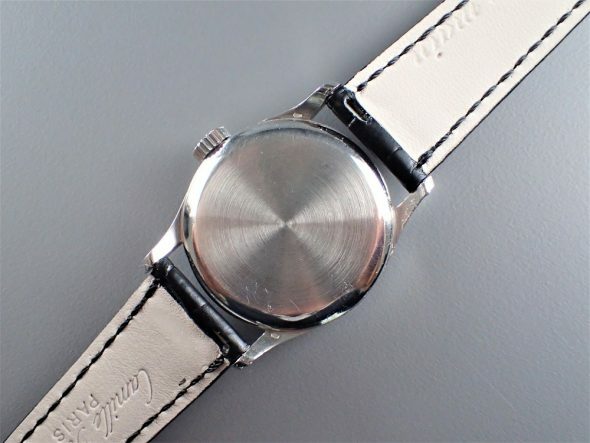 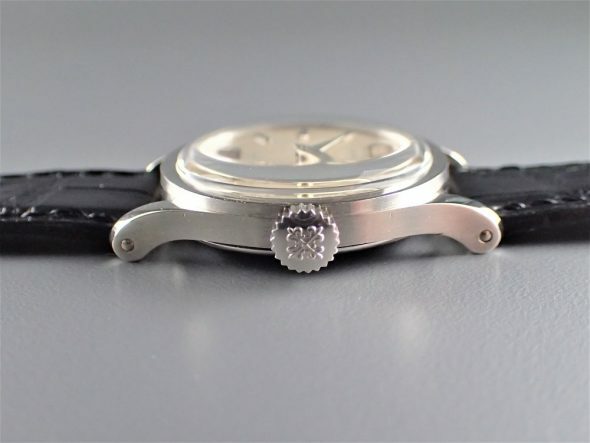 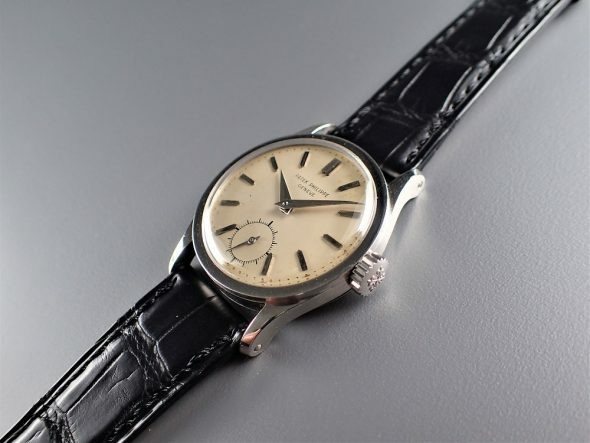 This watch is onne of very few platinum 96 with baton indexes. 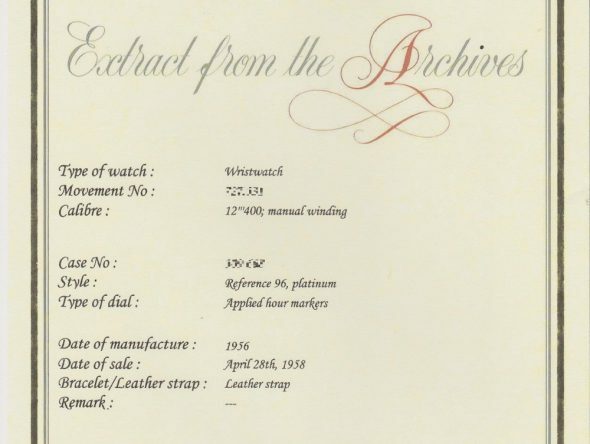 With Patek Philippe Extract from the Archives confirming production of this watch with applied hour markers in 1956 and its subsequent sale on April 28th, 1958.